Massage as a therapy has increased in popularity with many individuals opting for a session either as a part of therapeutic measures or as the first option. The large number of options may sometimes make it difficult for an individual to make a choice. Almost every other massage center offers sessions that make one of many claims, with come centers touting massages as a cure for almost everything. In the face of so many claims and offers it may be difficult to make the right choice. There are simple and effective methods by which you can zero in on the best center for therapeutic massage. Coral Gables, for instance is a location that has some of the best expert masseurs and masseuses. Before you set about identifying an expert it is important to understand your needs and then look for a suitable expert. Here are practical methods that you can rely on to find the service that works best for you. You need to look for the specialization of the masseurs and masseuses in particular techniques. For instance, if you were looking for a massage center that offers deep tissue massage, you need to look for special mention of deep tissue massage. Certain centers may have experts in restorative therapies, while others may only have expertise in comforting massage sessions. There is a huge difference between the two. A center that has masseurs and masseuses trained in a particular type of massage is certain to highlight the same. Check out the various offerings to understand the techniques in use by centers that offer massage. Coral Gables based centers of repute are known for offering superior results through specialist therapies. Despite all the advances in medical science and intervention, there are two simple aspects that stand out quite clearly. One is the fact that some actions and interventions that are age old practices have no modern replacement. The second is that most of the modern interventions are improvements of timeless traditions or have been inspired in part by past practices. Therefore, look for a center that draws inspiration from past traditions. An expert masseur or masseuse is one who has real experience in the techniques and not just theoretical knowledge or half-baked knowledge. A masseur who has trained and witnessed exponents in real action are best placed to offer you a session that will fetch results. Therapeutic massages, sports massage and deep tissue massage are different from most of the other forms of massage. There is a need for the masseur or masseuse to understand the exact requirements of the individual on the table before offering him or her the most suitable massage. In other words, the therapist needs to be ascertain the condition/requirement and choose an option that he or she finds to be the most suitable. To do so, it is necessary that the therapist has the experience and exposure to offer different forms of massage. If the specialist does not have knowledge of all massage techniques, you will end up having to settle for what he or she knows. Look for a Massage Coral Gables center that clearly mentions or lists out the different forms of massage offered and the benefits of each. In addition to being therapeutic in value, massage can be easily termed as hedonistic. It indulges the body to a level of relief and relaxation. Your decision to sit through a session can actually be used o ensure that you have a rich and fulfilling experience. 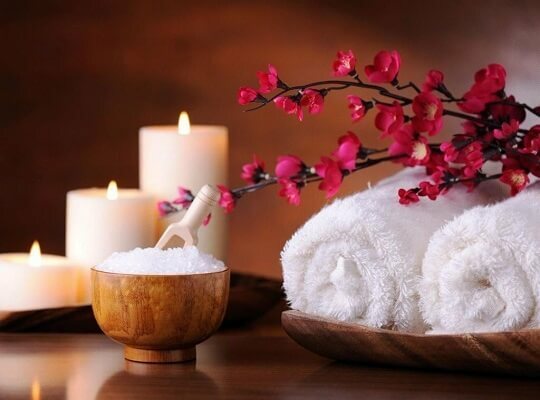 For instance, centers are known to offer spas, fragrant baths, hot towel therapy, neck and shoulder massages, hot stone treatment and other aromatherapies. This is certainly a great value addition. Not only will you get to enjoy the relief of therapeutic sessions, you will also get to extend the relief and take it to hedonistic pleasures, by giving your body and mind greater relaxation and better sensory pleasure. While most of the relief is from the expert strokes, kneading and application of the right kind of pressure on the body, there is also the need for using substances at times. For instance, essential oils form part of therapies, stones are used to radiate heat, flowers are used for aroma therapies and towels are heated to give just the right kind of gentle warmth and heat. The use of these substances are intended to give the best results and leave the skin glowing and warm. The use of inferior substances are likely to have results that are below expectations and will leave you feeling let down. Your time and money will end up as a waste if you do not find the desired results. Therefore, ensure that the center has a reputation for using only the best and most suitable substances during massage.